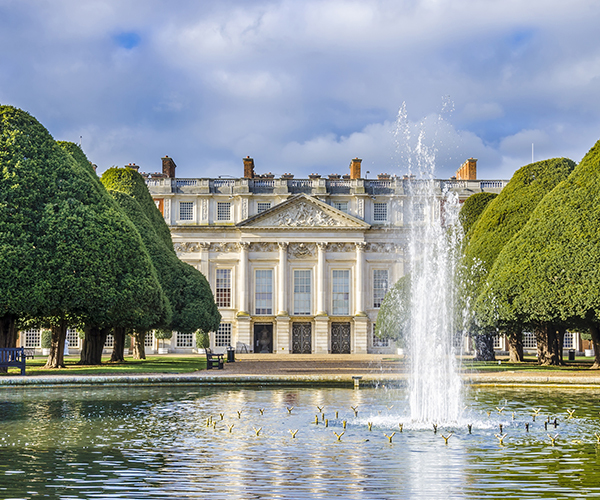 King Henry VIII’s grand palace sits in majesty beside the River Thames. Join your Blue Badge guide for a day out with the Tudor, Stuart and Hanoverian dynasties on a private tour of Hampton Court. This beautiful blend of Tudor and Baroque architecture features three courtyards – Base Court, Clock Court and Fountain Court. Base Court was built by Cardinal Thomas Wolsey in the early 16th century, but when his master the King started to covet the great palace, the Cardinal quickly gifted it to the irascible monarch. Clock Court features an astronomical clock showing everything from the phases of the moon to high water at London Bridge. The magnificent Great Hall was built to impress and showcases a spectacular hammer beam timber roof and priceless Flemish tapestries. Then on through Henry VIII’s apartments, with their superb collection of paintings and furniture to the Chapel Royal with its breathtaking fan-vaulted ceiling. The ghost of the fifth wife of Henry VIII, Queen Catherine Howard is still said to haunt this part of the building. Alongside the well-told stories of royalty and the court, what about the servants? Downstairs are the huge Tudor Kitchens, sometimes catering to 600 courtiers at a single sitting. Your guide will show you how food was prepared 500 years ago: a gluttonous feast of oxen, wild boar, sheep and calves – even a gilded cockatrice. We now jump forward 150 years for a visit to King William III’s Apartments. Designed by the great architect Sir Christopher Wren, they provide a glimpse into life in the Stuart court 300 years ago – a baroque palace to rival Versailles. We finish with a private guided tour of the magnificent gardens of Hampton Court. 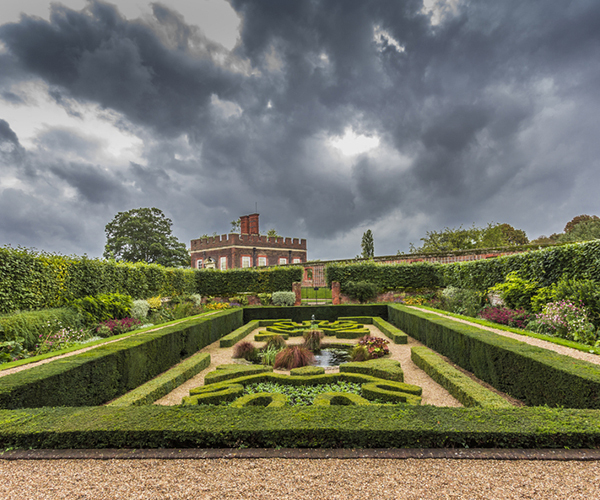 A time machine that takes us from a Tudor knot garden to an exquisite 18th century Privy Garden, then on to the ornate topiary of the yew trees in the Great Fountain Gardens. Also see the Great Vine planted in 1768 (today the largest in the world) and the world-famous Great Maze.